This bracelet was created with a series of simple square knots and beautiful Czech glass beads. The bracelet is lightweight and easy to put on and take off. It measures 6 inches at the smallest size and will fit a wrist up to 8 1/2 inches. A sliding knot was used to secure this bracelet, simply take each cord and pull until it feels most comfortable on your wrist. Tie On Macrame Bracelet. 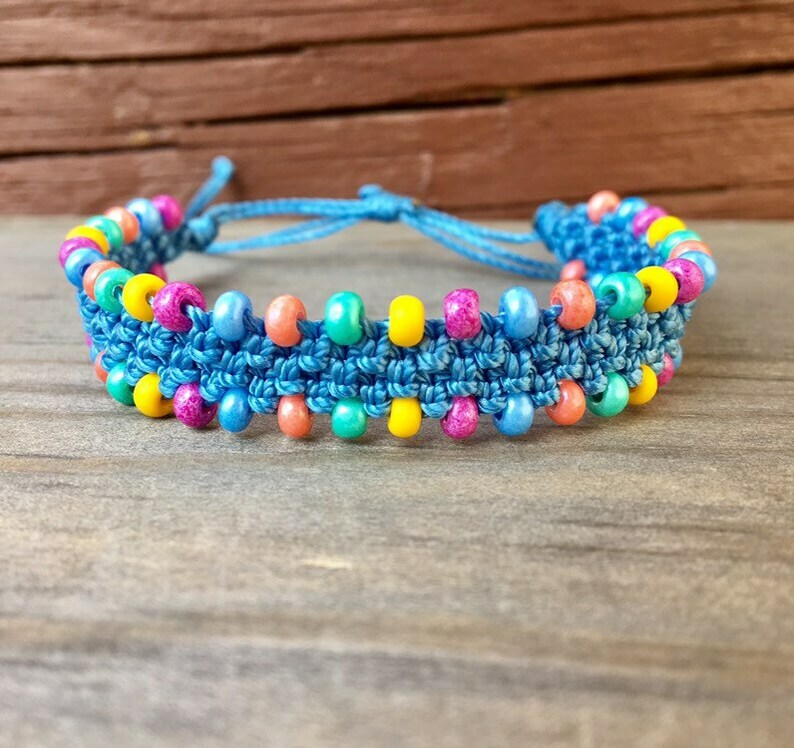 Knotted Macrame Bracelet. Micro-Macrame Cuff Bracelet. Modern Macrame. Beaded Cuff. Cuff Bracelet. Tribal Macrame Cuff. Statement Jewelry. Boutique Fashion Piece. REDUCED. Macrame Bracelet. Tie On Bracelet. Knotted Hemp Bracelet. Adjustable Bracelet. Hemp Bracelet. Braided Bracelet. Friendship Jewelry.